This blog was written by Dr Alison Ronan of MMU about an exciting project that will be taking place in the near future researching the Women’s Peace Crusades. So why haven’t we heard of this series of spontaneous demonstrations? Thousands of women went on to the streets to protest about the war and the need for a peace to be negotiated. They carried banners, wore armbands and sung! The Crusades were co-ordinated by women from the Independent Labour Party and the Women’s International League across the country after the Somme and the first Russian revolution. There were over a hundred crusades across Britain and there was a dedicated column in the Labour Leader after May 1917 which was edited by socialist Ethel Snowden and gave news of the Crusade to its readers. We want to look at local Crusades in the North West in more depth – Manchester, Oldham, Bolton, Burnley, Accrington, Nelson and Blackburn. Were they reported in local papers? Are there any surviving images? 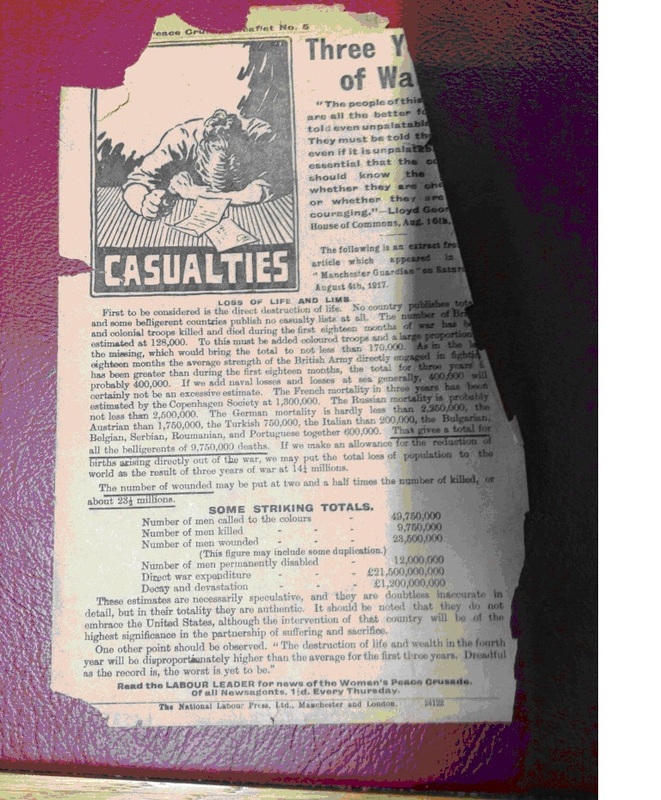 Or more handbills – like this one found in the John Rylands Library?